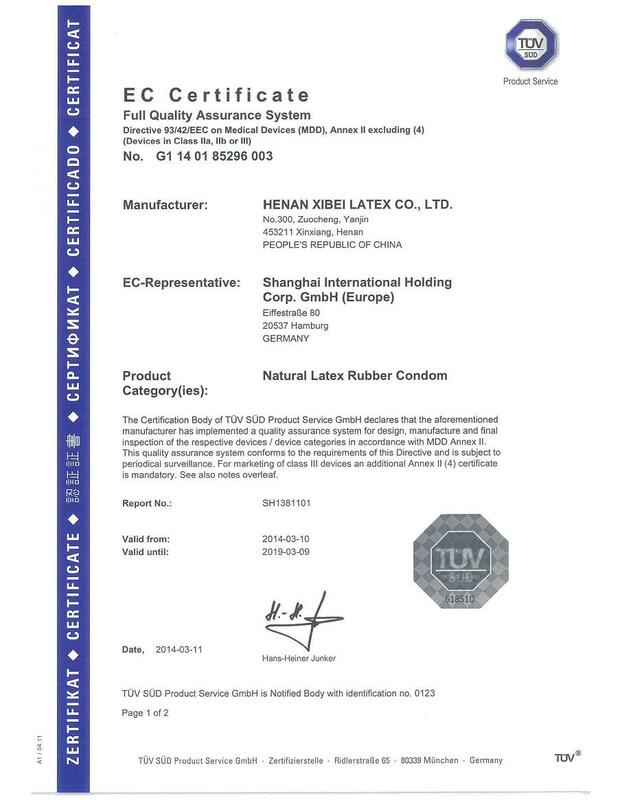 Company Overview - Henan Xibei Latex Co., Ltd.
9YRSHenan Xibei Latex Co., Ltd.
Henan Xibei Latex Co., Ltd. is regular condom supplier of China Family Planning and professional in global tender.Our company is a specialized company integrating research, development and production in the field of rubber condom and medical health treatment. Located in Zuocheng Industrial Zone. There are 150-odd staff members in our company, and 50 of them are professional and technical personnel. 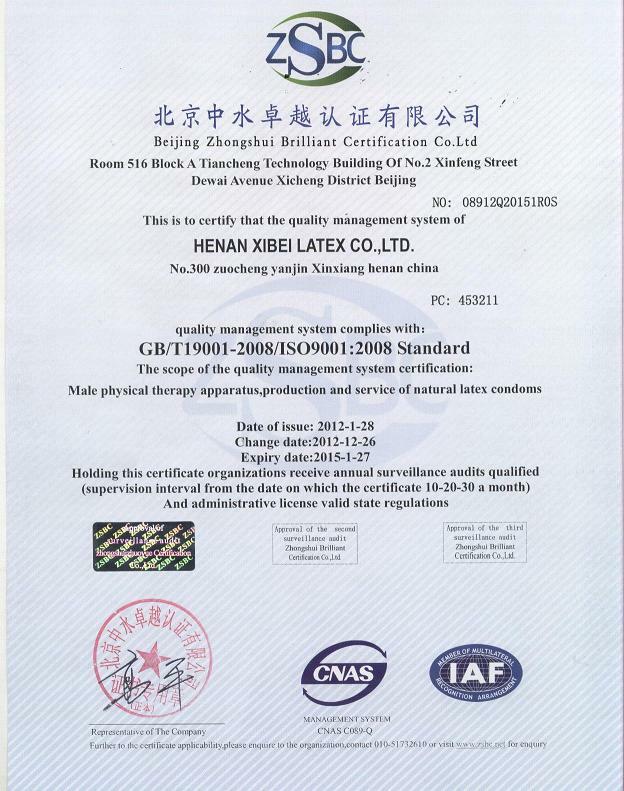 Established in 1992, with modernized official working facilities and advanced production equipment, our company is awarded "trustworthy and AAA Class" title by the government every year. There are four categories and more than one hundred varieties, and two categories are nationally patented products. 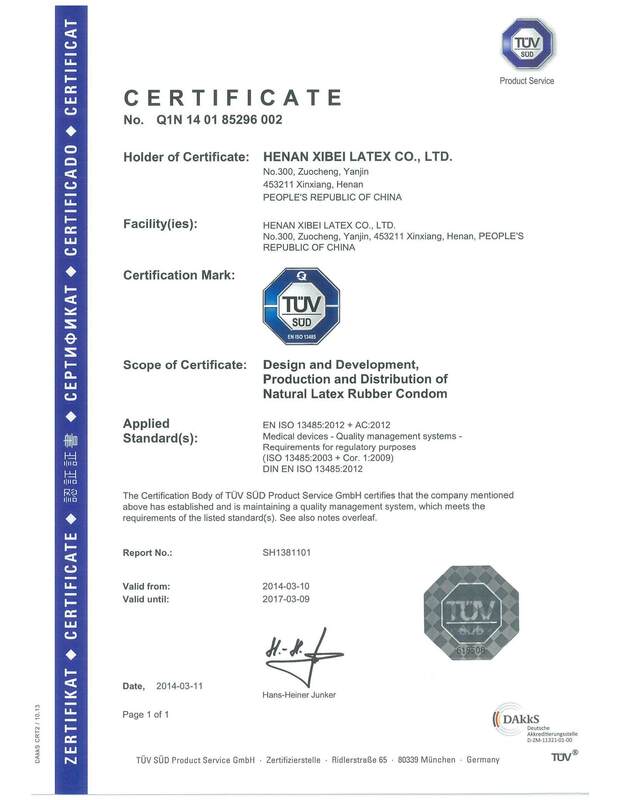 We passed ISO9001:2000 certification in March 2003, ISO13485 certification in 2010, and CCC certification of national emulsion industry in Oct., 2003. The products are selling well in both domestic and overseas markets, favorably promoting national family planning and public sexual healthcare. In order to suit the interior/overseas marketing requirements, adjust industrial structure and realize the update of the products, our company has built new and high-tech production lines producing 400 million pieces of perfume condoms per year. 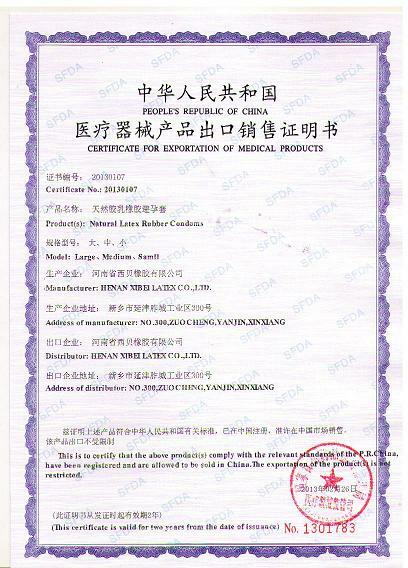 Adopting 4-time emulsion infiltrate technological process and using imported emulsion and equipment, now the qualification rate is 100%. We sincerely hope to establish business relationships with global customers by offering high quality products at competitive prices.